The current IBF, WBA, IBO junior middleweight world champion Jarrett Hurd has returned to training, after tearing his rotator cuff following his decision win over Erislandy Lara in April. When asked by Premier Boxing Champions, what he looks to do after unifying three junior middleweight titles, Hurd said he’s not only looking to fight again, but move up in weight class. “I’m still young so this is just the beginning. I have a ton of fight left in me. There are some really great potential matches up at 160 once I move up. 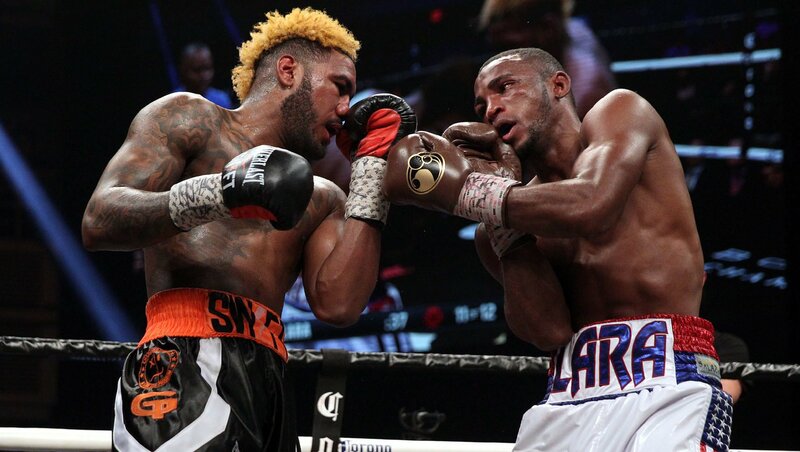 I definitely plan on continuing to fight the best because that’s the only way that someone like me truly feels as if I’m challenged, so my future looks bright,” Hurd told Premier Boxing Champions. When asked about who at 160 pounds would be the biggest challenge, Hurd sees Gennady Golovkin as the toughest challenge, while Daniel Jacobs and Jermall Charlo would be the two “easiest” fights for his style. “I’ve been focused mostly on 154, but I do see myself beating all of those guys. Canelo was once at 154, and I’ve watched some of his film and envisioned fighting him because he fought Trout and Lara like I did,” Hurd said. “I felt like he would have been my toughest competition at 154 outside of Lara. But now that I’ve beaten Lara, and Canelo’s at 160, I feel like I’m the best at 154.